One of the many amazing things about modern shipping is the rate of change that is happening in the industry. Now, perhaps more than ever before vessel shapes, designs, and capabilities are evolving like never before. In our new Crewtoo series, we look at those changes…starting at the bow. The bow of any ship is the forward part of the hull, the point that is usually most forward when the vessel is underway. The bow is designed to reduce the resistance of the hull cutting through water, and cuts or pushes the water out of the way to allow progress. There are many different designs, and each has its own purpose and rationale. 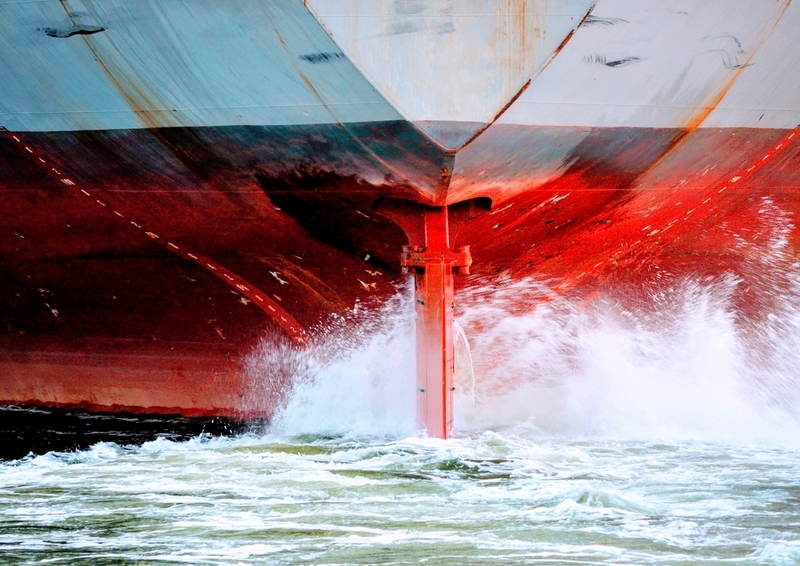 Some vessels need speed, so they are slim and look to reduce the entry through the water. They try to slice their way through. Other ships are designed with economy over speed, and they look to replicate the ways that whales push their huge bodies through the sea. Like the design of road vehicles, the choice of bow is affected by the desired effect. This has perhaps come even more to the fore as superyacht designers seek to achieve all kinds of artistic, aesthetic and innovative effects with their bows. Ships primarily come in two forms, the warship and commercial vessel. So that is where most designs hark to. The requirement to either move at high speed and with amazing manoeuvrability, or to push on at a modest speed, for long distances with economy in mind. Axe Bow: Given the name, it perhaps doesn’t take too much to work out the rationale behind this kind of bow. This design consists of a vertical stem line coupled with a long, deep and narrow fore portion of the hull. In profile, the effect is somewhat like an axe, designed to chop through the water. This sharp aspect allows it to pass easily through waves with less pitching as opposed to a normal bow. An added benefit is the fact that, because the lower part tends to remain in the water the vessel is less susceptible to slamming also. It’s not all good news – the major drawback is the fact that such a vessel can be more difficult to steer. Think of that wide, sharp design side on – it takes a lot to push it through the water side to side. So, such vessels require a lot of rudder to turn them. The problems associated with an axe bow have been reassessed by shipbuilder Damen. They have produced their own take on the Axe-bow, and many patrol boats and similar have this recognisable straight line into the water. It is a modern look which looks purposeful and catches the eye. Bulbous bow: A bulbous bow is perhaps the most common form for most commercial vessels. The protruding “bulb” at the bow sits just below the waterline and alters the way the water flows around the hull. This reduces drag and so makes for increased speed, range, fuel efficiency, and stability. Warship designs going back to the late 19th century had toyed with the idea of bulbous bows, but it was in 1935 when the French superliner “Normandie” took up the design that it really came of age. Large ships with bulbous bows generally have twelve to fifteen percent better fuel efficiency than similar vessels without them, so they make a big difference. A bulbous bow also increases the buoyancy of the forward part and hence reduces the pitching of the ship to a small degree. Making for a smoother, cheaper and more efficient passage. Classic Bows: There are a number of old, traditional designs which have built on the original straight up and down approach. These include the Clipper, Spoon, Raked and Plumb. The Clipper Bow is one of the most traditional. With this style, the bow inflects inwardly while curving forward. The style usually couples with trailboards and a bowsprit for a pirate look. When children draw pirate ships, they will likely draw a Clipper bow. A Spoon bow, is another vintage approach. The spoon falls up and backwards from the waterline to the deck like the back of a spoon. A Raked bow has always been common because of the functionality. The raked aspect means the bow slants straight from the water to the deck. The bow line is a flat forward angle without curve. The raked bow increases accommodations. Because the acute angle is usually less than 45 degrees, the forwarder waterline position allows for a larger forward stateroom V- berth. Curved bow: One Japanese container line recently introduced a new curved bow design. It caught the eye, but some criticism too. It moves the wheelhouse forward, and piles it over the top of the bow. Interestingly, this new design is less about the water – but more about reducing the effects of the wind. The designers claim it will reduce windage by around 30%. Thus, making the vessel more manoeuvrable. However, some critics claim that pilotage will be impacted, as the accommodation extrudes too far. Vertical or straight stem bow: Back when ship design was in its infancy and most ships were designed to carry anything that was asked of them, ship builders just made a generic vertical bow. This was a straight edge that dropped from the deck, down to the water line, and joined the keel. There was no real sophistication, it was simply the easiest means of providing the straight edge any vessel would need. The vertical would rise from the keel, up towards the deck, and would flare outwards to push water away from the deck. Rather surprisingly, given that it was designed to be the fastest ship on record, the “RMS Titanic” had a straight bow. We all know how that worked out. X-Bow: Bow design has taken on a lot of prominence of late. Companies such as Ulstein have been leading the charge, and their X-BOW is perhaps the most innovative and easily recognised. The X-Bow is called an “inverted bow concept”, and it introduces the gentle displacer; a tapered fore ship shape with a different volume distribution as well as sectional angles, resulting in a wave piercing effect at small wave heights. The designers claim this also reduces pitching and bow impact loads in bigger seas. When comparing fore ship volumes with more conventional, bulbous bow shapes, the X-BOW has more displacement volume starting from the waterline. The bow concept was launched in 2005, and has proven to be very popular in the offshore market. However, the fact that this sector is currently struggling means that few vessels are being produced. We will likely see more developments of the X-Bow in coming years. One such leap is to look backwards, and Ulstein has already produced the X-Stern concept. What do you think? Do you like modern designs or do the old classics give more comfort and performance? We’d love to hear from you, so get in touch and share your views on ships bows.